A modern computer is unthinkable without a bright dynamic graphics, audio quality, interesting games. On window platforms all this magnificence is built on a technology called directx. Thanks to her games and other programs have the opportunity to use graphics and sound capabilities of computer hardware in full. Of course, computer technology is not standing still, and Вirectx also updated regularly. So with the release of the newest game often becomes necessary to update directx on your computer. The operation is quite simple, quite on forces to the average user. 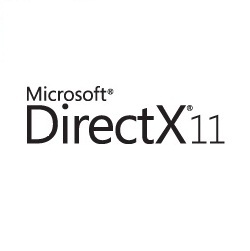 Before updating, check the version of directx that is already installed in your system. It is possible that it is, and so satisfies the requirements of your software and the update does not need to. In the menu "start" choose "Run"
Open the diagnostics tool window, where the tab "System", in addition to other useful information, will show the version of directx (the bottom line). At the time of this writing, the current version is 11. If the requirements you are installing applications is higher than the version of directx present on your system, you not remain other exit how to update directx. Download the update best with the web site of Microsoft Corporation. The updates from other sites can be modified by attackers, and therefore are dangerous. Selecting the latest version, download the installation file. After the download is complete it should be run. You will be asked the standard procedure for unpacking the distribution, including the license agreement and select a folder for the files. After the files are extracted, navigate to the selected folder and run dxsetup.exe who will perform the actual update. As you can see, the update procedure is quite simple and it is accessible to everyone, as it requires only care and care and no special knowledge and skills. However, an inexperienced user may still lie in wait here an unpleasant surprise. The fact is that if your Windows version is too old, the current directx may simply not wish it to install. In this case, you need to install a more modern version of Windows, and this, in turn, often requires a substantial upgrade of the hardware of the computer.